I like shopping and I actually prefer going to shops rather than surfing online. As I get to travel, I am probably spoiled for choice. 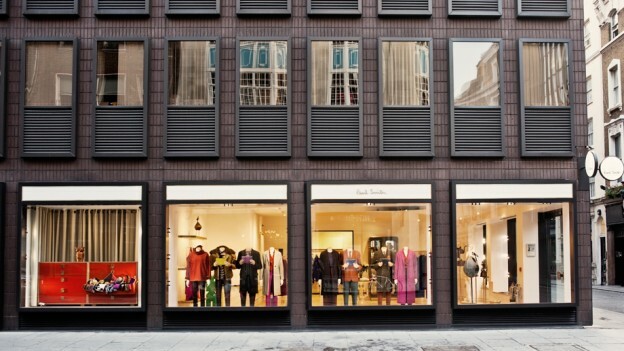 One of my favorite shops is Paul Smith in London. I started going to Paul Smith in the late 1970’s. I loved the shirts and shoes from the very beginning. It was a sort of cool, edgy, and a very “Londony” look. As I was living in the States, it was a way to keep myself in tune with England! So, all those years ago and still, I go to Paul Smith when I am in London. I love the tiny street in Covent Garden called Floral Street where the store is located. Everyone is helpful, trendy, and more or less my sons age! Actually my son who lives in Washington DC, always asks me to buy him a shirt whenever I am passing through. He even pays me back! And that’s why I shop in Paul Smith. I wish every store could be like that. Great ethos, great people, and everyone obviously likes the guy who owns the place. Hats off to Paul Smith. It’s not just about the clothes. It is about the attitude and the culture towards the customer! This entry was posted in Blog and tagged London, Paul Smith, Peter Jones, Pietro Place, Shopping, Travel, Travel Blog, Traveller on January 19, 2016 by Meghan Pope.